Apple Chief Executive Steve Jobs gave a rare interview this week as his company combats a firestorm of publicity regarding a location database file stored by the iOS operating system, and he reaffirmed that Apple has not been tracking anyone. Jobs spoke on Wednesday with Ina Fried of Mobilized, and explained that the location data stored on iPhones running iOS 4 is used to deliver location-based information. He took the opportunity to explain that Apple is not keeping track of everywhere its users have been, and also declined to specifically comment on other companies' privacy policies, including Google. "The files they found on these phones, as we explained, it turned out were basically files we have built through anonymous, crowdsourced information that we collect from the tens of millions of iPhones out there," Jobs reportedly said. Jobs also admitted that the technology industry has not adequately explained to users how location services on devices like the iPhone work. "As new technology comes into the society, there is a period of adjustment and education," Jobs said in the telephone interview. "We haven't, as an industry, done a very good job educating people, I think, as to some of the more subtle things going on here. As such, (people) jumped to a lot of wrong conclusions in the past week." Jobs' interview is part of a strong public relations push being made by Apple to counter what it sees as misinformation that has circulated in the media over the last week. Also on Wednesday, Apple issued a series of questions and answers, in which it explained that the size of the location information file and the length of time information is stored on an iPhone or 3G-equipped iPad is a software bug. "The reason the iPhone stores so much data is a bug we uncovered and plan to fix shortly," Apple said in its Q&A. An iOS update to address the issue is scheduled to arrive in a matter of weeks. "We don't think the iPhone needs to store more than seven days of this data." In the interview, Jobs also revealed that Apple will take part in a U.S. Senate hearing on privacy scheduled for May. Apple and other technology companies were asked to participate in the Senate judiciary hearing on mobile technology privacy this week. Finally, the Apple co-founder also said he would be interested to see how aggressively the press decides to pursue other device manufacturers with regard to user privacy. "Some of them don't do what we do," he reportedly said. "That's for sure." Jobs' participation in the interview is also noteworthy because he has taken a medical leave of absence from his daily duties at Apple. 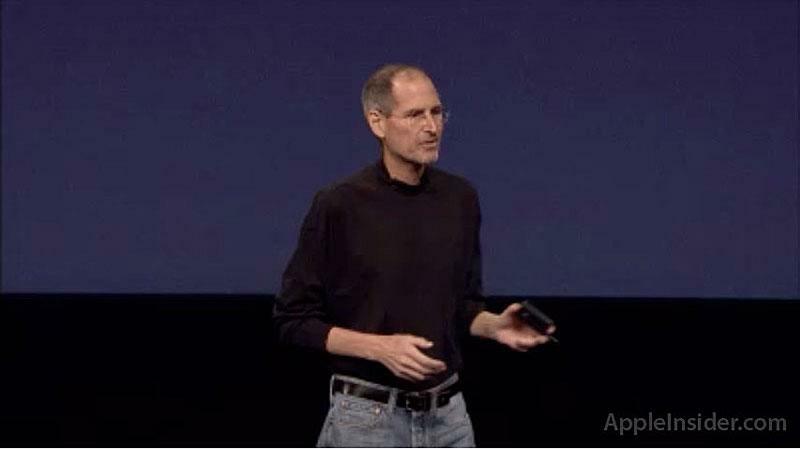 The CEO announced his leave in January, but still took the stage to unveil the iPad 2 in March.